Free bike rides will be available this weekend in celebration of National Bike Week (15 – 23 June). 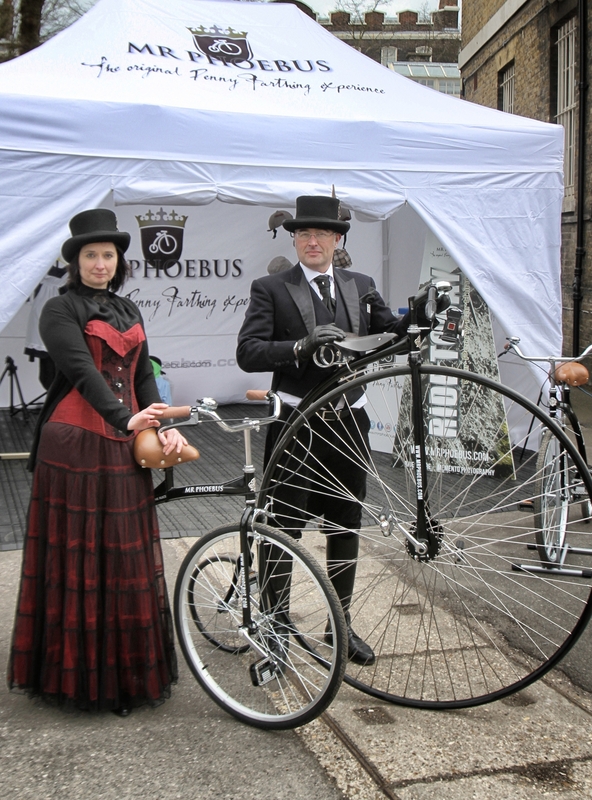 Gravesend shoppers will be treated to the charming spectacle of a penny farthing in motion, ridden by the very dapper Mr Phoebus – dressed head to toe in Victorian finery at ‘Music & Motors – Festival of Transport’ in the town centre on Saturday 15 June. Going for the thousand on wheels! Gravesend Rotary Club’s target this year is to make ‘On Your Bike’ a thousand cycle day.